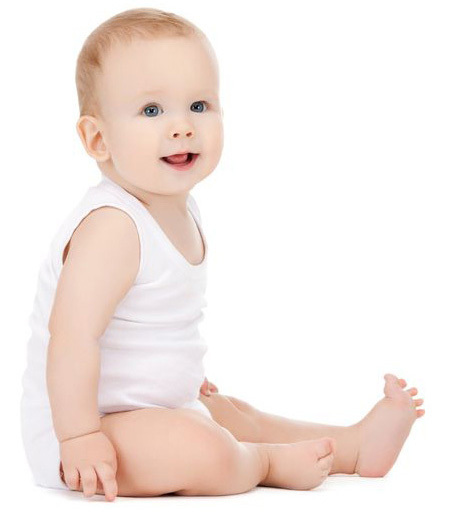 903 Dried Blood Spot Collection Devices are designed for the collection of neonatal blood. 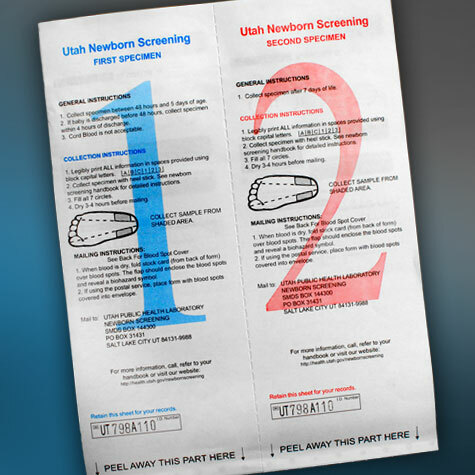 Preprinted cards include a form to fill out demographic information about the newborn. 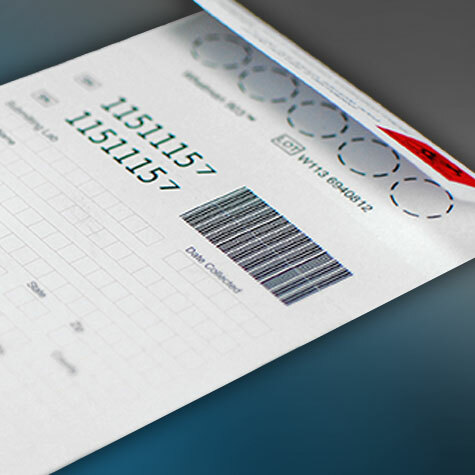 Choose from a range of preprinted formats, or choose custom printing for specific applications. 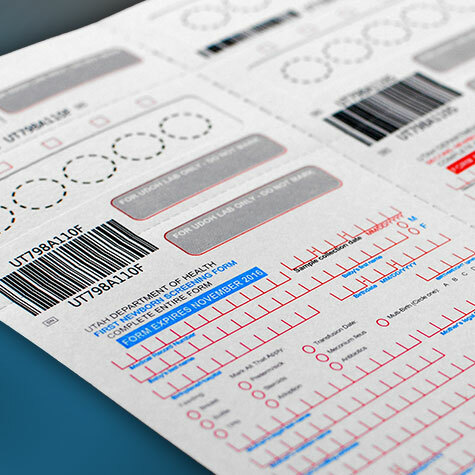 The dried blood spot cards are ready-to-use and provide easy collection, identification, and transport of samples, without the need for costly freezers or delivery on dry ice. during neonatal collection, transport, and archiving. Writing directly onto the 903 paper is not feasible as it absorbs ink from the pen and words may appear illegible. It also increases the risk of sample contamination. 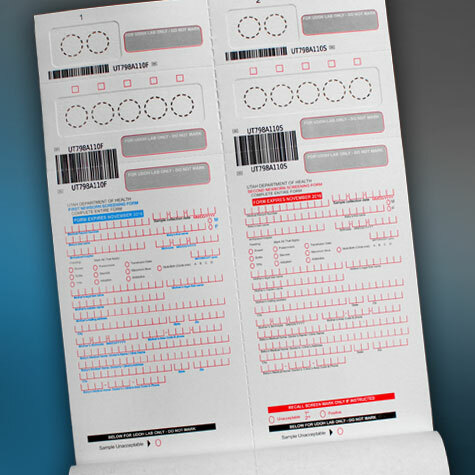 The two-part card consists of the 903 sample area glued to a demographic card available in either black or OCR (optical character recognition) red. 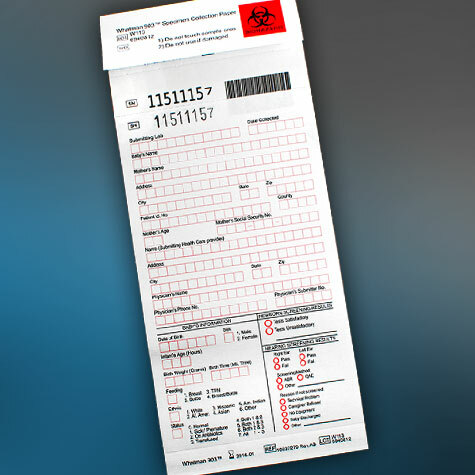 The two-part card can also include additional features such as a barcode and can be printed in multiple colors. ensure high quality, reproducibility, and purity. 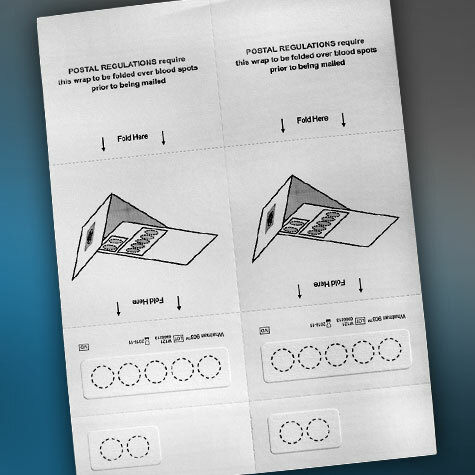 The multipart dried blood spot card consists of three parts or more and can be printed in black or OCR. 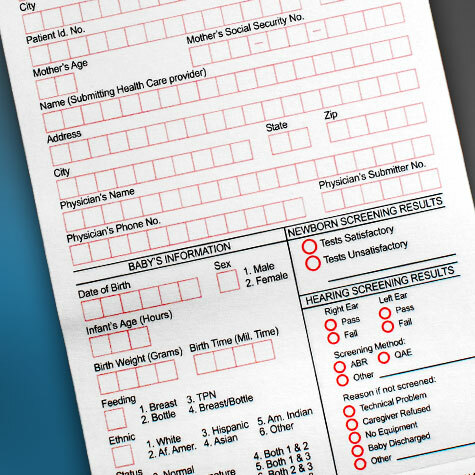 Similar to the two-part card, the 903 sample area is attached to the demographic card and can have one or two top carbon layers for transfering information. 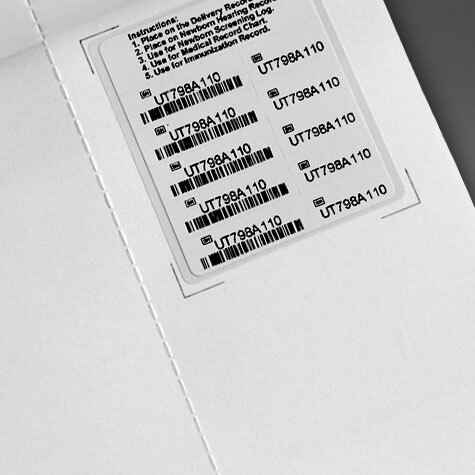 Additional features of the multipart card include a wrap-around cover, which protects the 903 blood collection paper, one barcode, unique identification numbering, and it is available in a variety of ink colors. Custom cassette formats are suitable for automated processing. The 903 sample area is integrated into a cardboard frame, which is glued with the demographic part. The cardboard frame gives stability to the 903 sample area, which is required when samples are handled by robotic instruments. 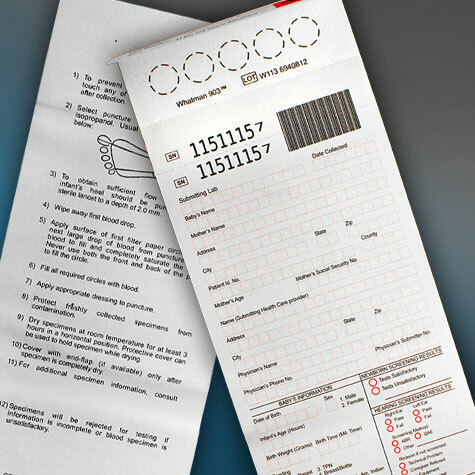 The cassette card is available with barcode information for traceability and OCR-scannable demographic sections. Of course, your individual logo can be printed in multiple colors. EBF is the exclusive manufacturer of 903 Dried Blood Spot (DBS) specimen collection cards worldwide.